Wow- the complete lack of compassion for other human beings here is stunning. 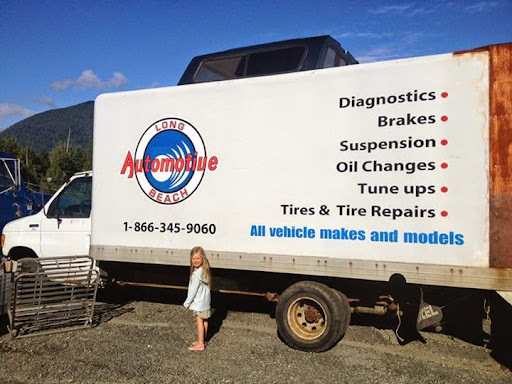 I drive an old vehicle and am used to stopping in at various mechanics on my travels. In all of my experiences from Haida Gwaii all the way to southern Mexico, I have never been treated so callously by anyone who I have approached with kindness and respect. One of our radiator hoses blew and we were nearby the shop so we stopped in just as our engine began to overheat. We told a young man working at the shop what was going on and he was more than happy to help us out. He was the only person who treated us with respect. We were told we could swap out the pipe where we were parked and wouldnt have even begun working on the vehicle if they had told us we werent allowed to do so. Unfortunately, we didnt have the correct set of pliers to easily remove our hose clamps and so the job was taking us longer than it should have. Then, much to our surprise as nobody had told us we werent allowed to get ourselves sorted, a different employee came out and told us we had to leave and essentially told us that what we were doing was akin to "coming to a restaurant and asking to borrow pots and pans to cook our own dinner." We were obviously quite taken aback as nobody had informed us that we were a problem previously and we had been nothing but polite (and had already overpaid for the tiny piece of hose we needed and new hose clamps). We then said that we would be happy to pay for someone at the shop to do the repair for us as our hands were more or less tied due to not being able to run the vehicle in the state it was in. The employee told us that they were busy and wouldnt help us despite the fact we offered to pay for their services. No discussion of scheduling us in- we would have been more than happy to wait- they basically just told us to go to ucluelet when they knew we wouldnt be able to make it that far. I left feeling like I got punched in the gut. I can appreciate that they are running a business and I can appreciate that they have rules, but I cant understand a total lack of desire to help out fellow human beings-especially if they are offering to pay for services. I also cant understand their anger at us for breaking a rule that nobody bothered to communicate to us in the first place. If you have ANY other option-take it. Avoid this place at all costs. What a sad and pathetic way to treat other people. This is the first time I have ever written a review but feel compelled to do so. The standard of service I received was excellent, and surpassed by far any service I have ever received from the Nanaimo dealership I usually brought my vehicle to. Last trip to the dealership, as I was paying my $900.00 invoice I casually asked, "How are the fluids? ", to which the service people responded with a blank look (and no one had checked). At Long Beach Auto I simply went to have an oil change done, and it happens to be peak season. When I returned to pick up my vehicle the efficient and very friendly receptionist told me that all my fluids had been checked and topped up, my spare tire had needed some air, I should get my brakes done soon as rotors are rusted and pitted, and my entire vehicle had been wiped down (we are also in water restrictions). I thanked her and paid my bill, and when I read it saw that the suspension, lights, belts, exhaust - everything had been checked over but my invoice didnt include any extras at all, simply the oil change and filter! In such an incredibly busy time the service I received went above and beyond any expectations. I highly recommend Long Beach Auto for friendly, professional, and efficient service! They are the best! Granted they are also the only game in town; and that being said they could really stick it to the customer but they dont! We suffered a breakdown while there on vacation and they were able to tow us on a Sunday. Have the truck in and diagnosed on Monday morning and FORTUNATELY get a part in on the afternoon bus. The truck was repaired and back on the road by Tuesday. They were knowledgeable, reasonable, and down right nice. We were told by the RV park we were staying at that they were not a good shop. However when you have to be towed you are at the mercy of wherever you are going to be towed to. We also have Good Sam for our RV and they totally sucked on this one. Ryan, Rick, and Asmara really went the extra distance to get us on the road again. I cannot praise them enough.